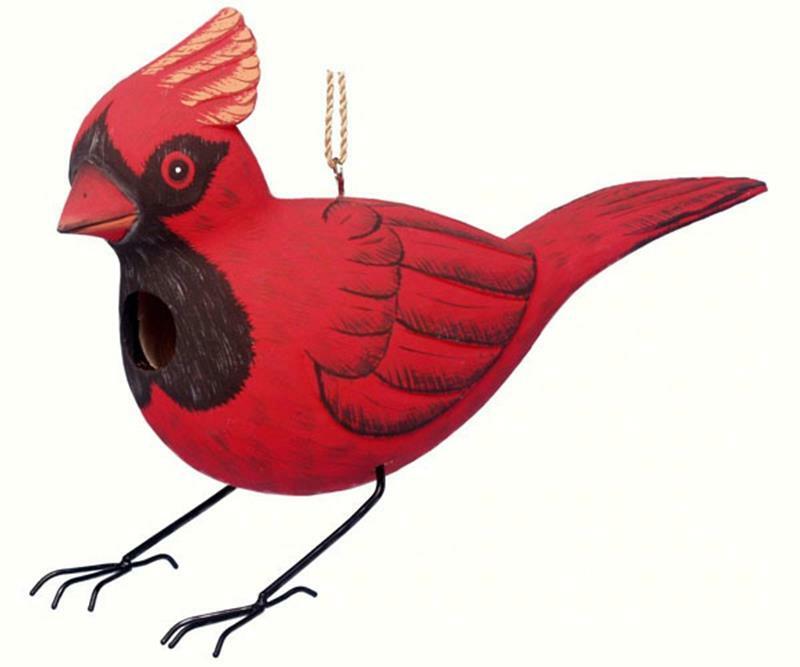 Hand-carved from albesia wood, a renewable resource, each birdhouse is hand painted with non-toxic paints and coated with polyurethane to protect them from the elements. By using all natural and nontoxic components, a safe environment has been created complete with clean-out for our feathered friends. Approxiamtely 13" long x 4" wide x 9" tall.